Concert hall, built 1907. Renovated in the 1990s. Re-opened May 1993 as cultural and congress centre with four halls. Used for classical and pop concerts, and for congresses. Home to the "Sinfonieorchester St. Gallen". 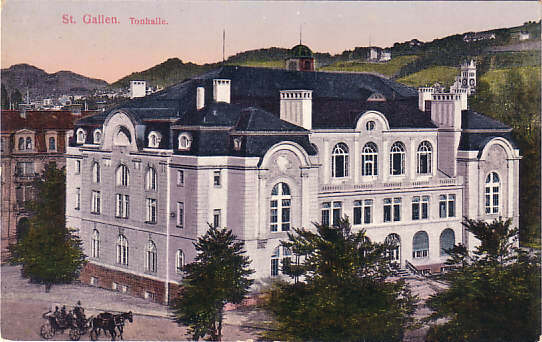 Front Text: "St. Gallen, Tonhalle"